This is a quality Japanese crafted pocket knife made in Seki, Japan by Imai. 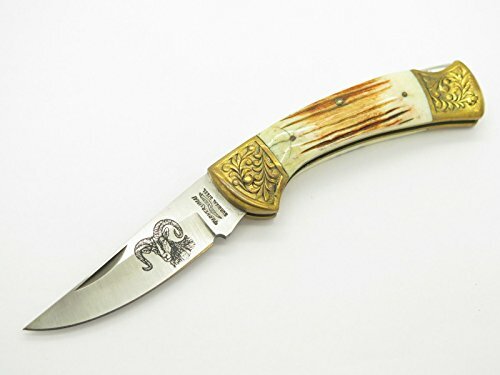 It sports elegant jigged bone handle (has stable cracks as pictured) with engraved brass bolsters. They are unused new old stock. The Case Yellow CV Slimline Trapper is a work-ready knife, built for use all day long. 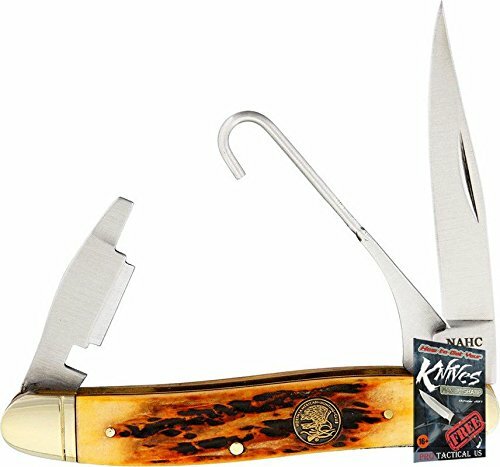 The Slimline Trapper is a thinner version of the Trapper and only includes one blade. 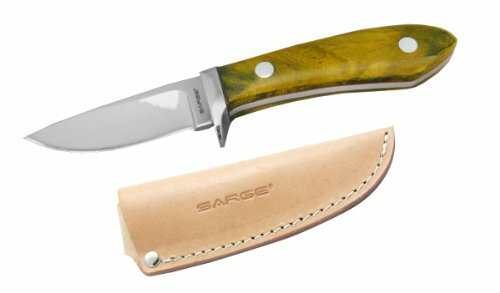 This durable folding knife features a yellow synthetic handle and the clip blade. The bright yellow handle color will keep this Case Slimline Trapper easily within your sight. 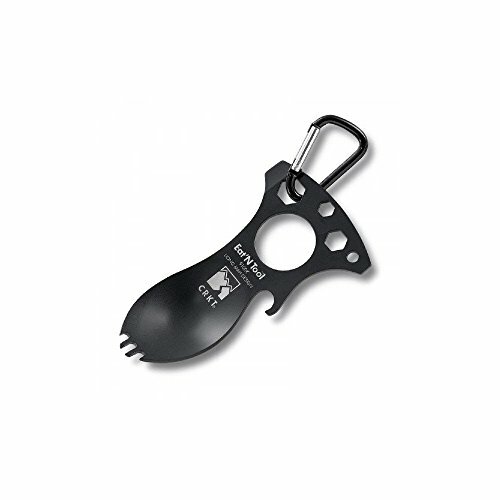 The Clip blade is commonly used as a multi-purpose blade and preferred for detail work. This knife is constructed with our chrome vanadium (CV) steel. 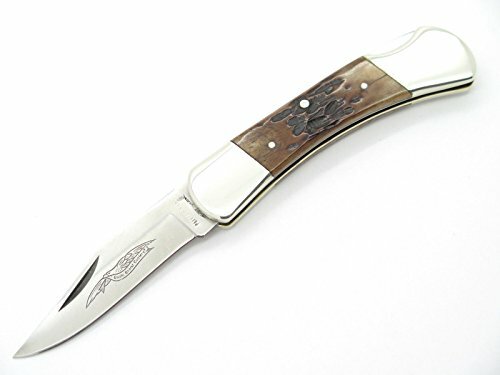 Some knife lovers will settle for nothing less than chrome vanadium blades, since this special formula of alloyed steel is the “original” Case blade steel. Case chrome vanadium blades are known for their edge-holding ability and easy re-sharpening. However, they are less resistant to rusting, pitting and discoloration than stainless steel. We recommend keeping a thin film of oil on the blade to maintain the finish. 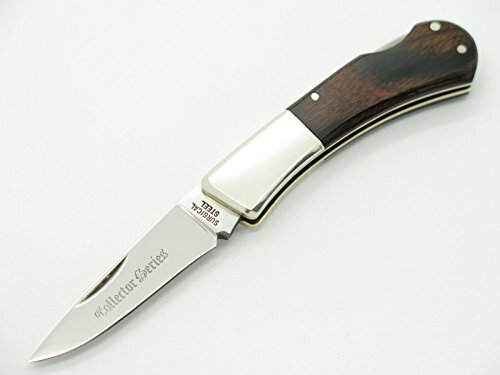 This ensures that your knife will be around for future generations to enjoy.This pocket knife is suitable for everyday demands, hunting, or the outdoors. Comes conveniently packaged in a box. Made in Bradford, PA, USA from domestic and imported materials. This is a fantastic vintage Parker/Frost CS-33 lockback folding knife. It is a rare discontinued item in nice vintage new old stock condition. Nice vintage Parker Cut Co Folding Lockback knife in unused new old stock. It has a small crack near the pin as shown in the pictures. All knives have a similar crack. 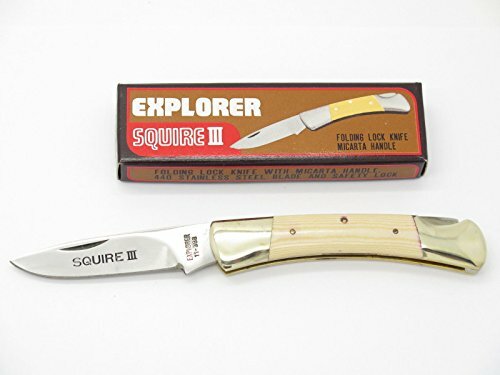 This is a quality Japanese crafted trapper pocket knife made in Seki, Japan. 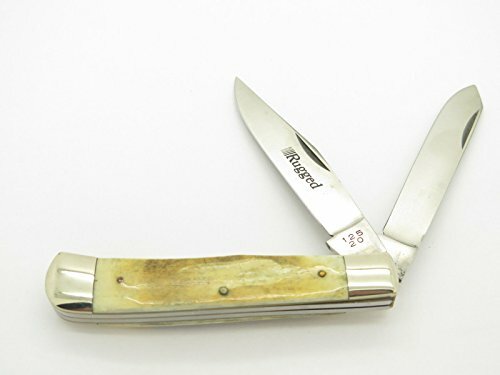 It sports a second cut stag handle with nickel silver bolsters. They are unused new old stock.